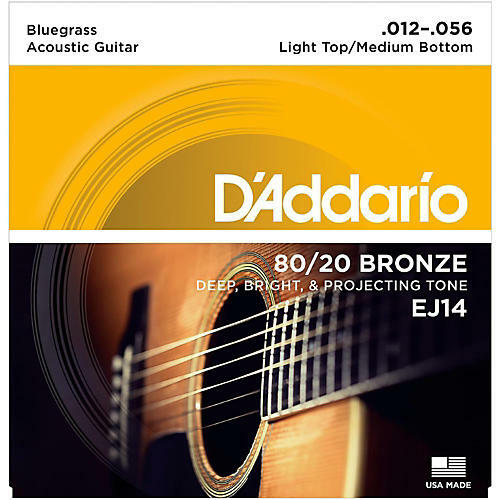 Known for their crisp bright tone, the 80/20s in the D'Addario EJ14 acoustic guitar strings set are popular with stage and studio pros. Medium. Gauges 12-16-25-35-45-56.